At Contours Travel we only sell Latin America and Antarctica. This is the part of the world we love and are passionate about. Everyone in our team has either travelled extensively or lived and worked in South America, Mexico, Cuba, Central America and Antarctica. Furthermore, we all continue to travel regularly; so you can be certain we have unsurpassed destination knowledge. In addition to our experience, we believe an honest approach to planning a trip is the best way to create your dream holiday. That is why we encourage you to talk to us. We know Latin America by heart and we love to share our in-depth knowledge with our clients. We’ll share the highlights and hidden gems of this extraordinary region. One of our specialists consultants will handle your trip from start to finish. Will go over your interests, budget, and expectations and will continue to refine it until you are 100% satisfied. 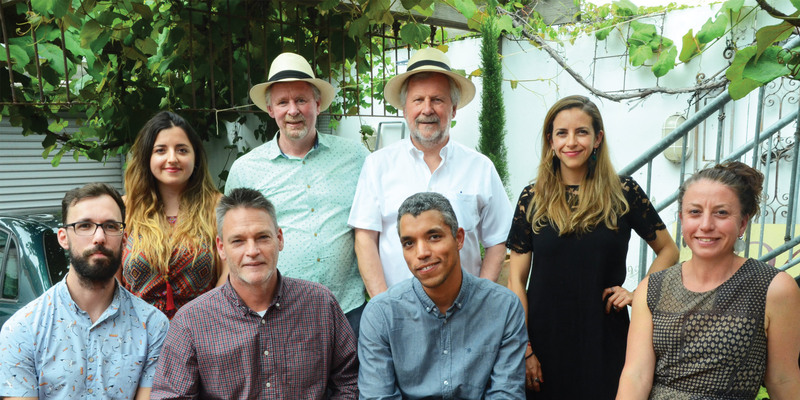 Meet the team at Contours Travel to find out more about our Latin American experience! 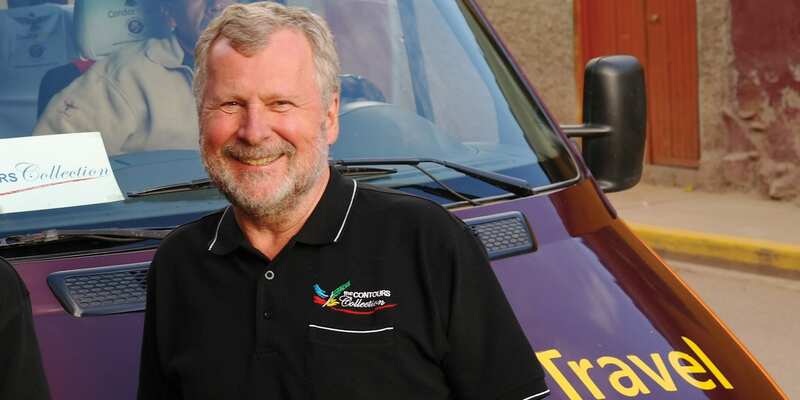 Ted, Managing Director, first explored South America as an overland bus driver in the mid-1970s. Since then he has been back more than 120 times over the past 40 years! Ted has travelled throughout the Caribbean and overland from the Mexican border all the way down to the southernmost tip of Latin America. In 2015, Ted received the Lord Mayor’s Commendation award which recognises the longevity and success of Contours Travel as a business and the valuable contribution that Ted has made to the city of Melbourne. Ted’s experience reads like a library of Lonely Planet Guides. He knows almost every inch of every country he has visited which includes Argentina, Chile, Bolivia, Uruguay, Brazil, Peru, Ecuador, Colombia, Venezuela and Guyana. In Central America, Ted has journeyed to: Mexico, Belize, Guatemala, Costa Rica, Nicaragua, Honduras, Panama and El Salvador. He has also been to 20 of the Caribbean islands, including: Antigua, Aruba, Bahamas, Barbados, Bermuda, Bequia, Cuba, Grenada, Jamaica, Puerto Rico, San Andres (Colombia), St. Kitts & Nevis, St. Lucia, St. Martin, St. Maarten, Trinidad, St. Thomas, St. Vincent, St. Croix and Bermuda. 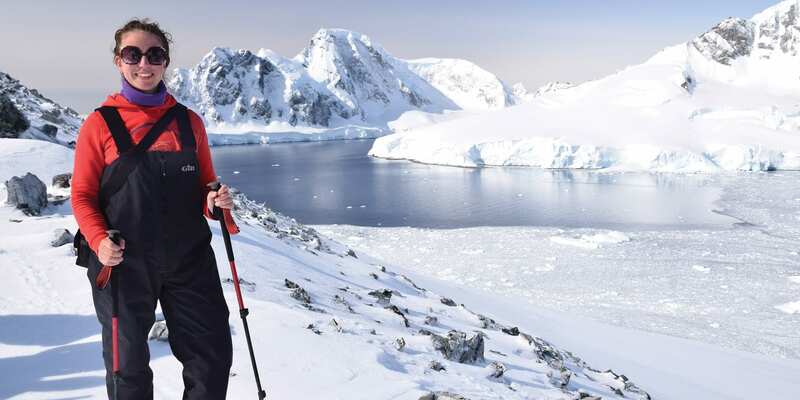 Most recently he traveled Antarctica where his Zodiac glided into a Humpback Whale! My Latin American highlight: swimming in the Napo River in the Ecuadorian Amazon with my son Lucasz. Another great memory was a very close encounter with a Speckled Bear family while doing the Inca Trail. We had to stay quiet and hide so the baby bear would cross the trail! My advice would be: Taste the red wine! Squeeze half a lime into anything. Don’t be afraid to go off the beaten track, you’ll be sure to find something very different. 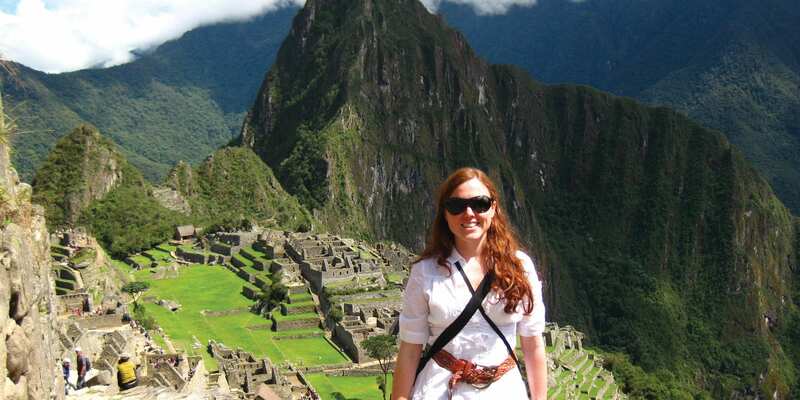 Heather started working with Contours Travel in 2007 and has travelled all over South and Central America. She speaks Spanish, makes a mean caipirinha and wishes more people would travel to Nicaragua, Colombia and Bolivia! Latin America’s Travel Experience: Argentina, Chile, Bolivia, Peru, Brazil, Ecuador, Colombia, Panama, Costa Rica, Nicaragua, Guatemala, Cuba & Antarctica. My advice would be: Don’t try to squeeze to many destinations into one trip, it is better to go slowly to actually get a feel of every destination! The next destination on my list is: Mexico! Born and bred, Ines loves all things Argentinean and keeps the office happy with homemade empanadas. She is responsible for the continued development of Latin America products through the website, new products and curates our Contours Collection Small Group Tours. She has been with Contours Travel since 2010. During her weekends she loves spending time with his husband and two kids and cooking some Argentinean recipes. Latin America’s Travel Experience: Argentina, Chile, Uruguay, Peru, Mexico, Belize, and Guatemala. My advice would be: try to learn a little bit of Spanish; it will give you plenty of opportunities to have conversations with locals and this will undoubtedly enrich your South American experience! 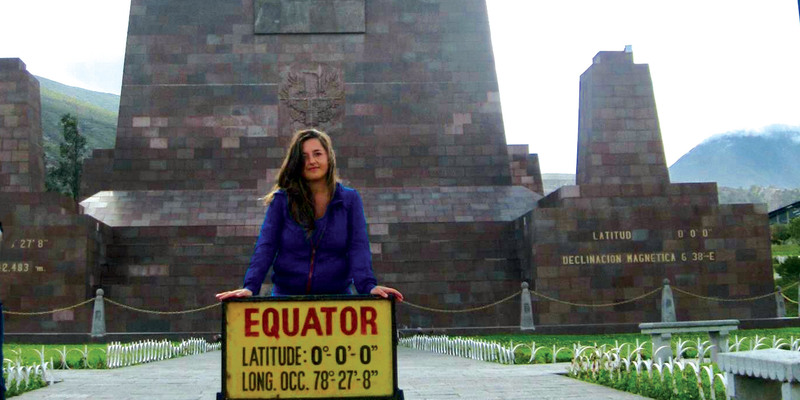 The next destination on my list is: Ecuador (Amazon & the Galapagos Islands), I can’t wait! Rod lived and worked in Latin America for more than 12 years, escorting tours, managing a travel company and eventually settling down in Cuzco with his Peruvian wife. He speaks Spanish, has hiked the Inca Trail over 20 times and has incredible knowledge of the continent. Rod has been with Contours Travel since 2012. Latin America’s Travel Experience: He has been to Antarctica and all countries in Central and South America except the Guyanas and Belize. My Latin America highlight: watching the Tungurahua Volcano throwing lava kilometres into the air and watch the lava flows down the edge of the volcano, at Ba os, Ecuador. My advice would be: to not miss Colombia or Patagonia not always on first trip, but well worth going back for. The next destinations on my list are: Brazil and Mexico. 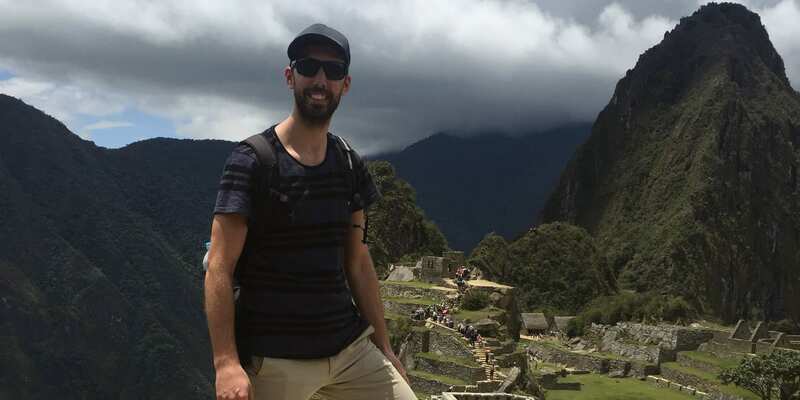 Brett has travelled extensively around the world, but he first fell in love with Latin America on his trip around Argentina, Chile, and Peru; the sounds, the sights, and the hospitality of the magical places he encountered led him to the travel industry. 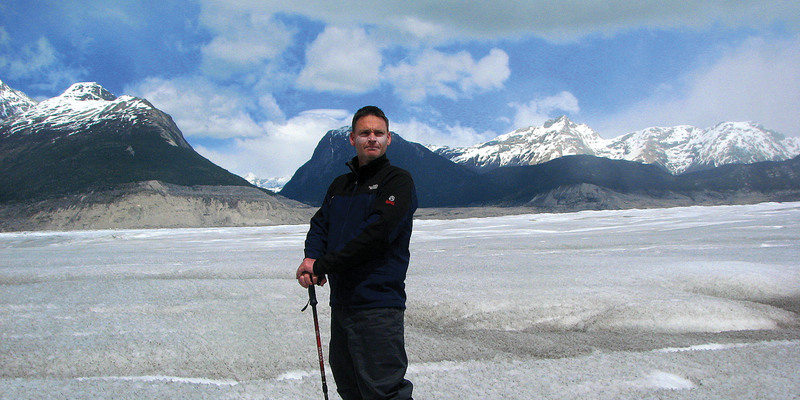 He’s been an expert on the region since 2007 and has been working with Contours Travel since 2016. Latin America’s Travel Experience: Mexico, Cuba, Peru, Bolivia, Chile, & Argentina. My main Latin America highlight: hiking through the Torres del Paine National Park. My advice would be: Less is more. Try not to squeeze too much into your trip. Instead spend extra time at the places you are at. Immerse yourself in the culture and don’t be afraid to try new things! The next destinations on my list are: Ecuador a such a diverse country from the Amazon Jungle to the Andean highlands down to the coastal beaches and Galapagos Islands. 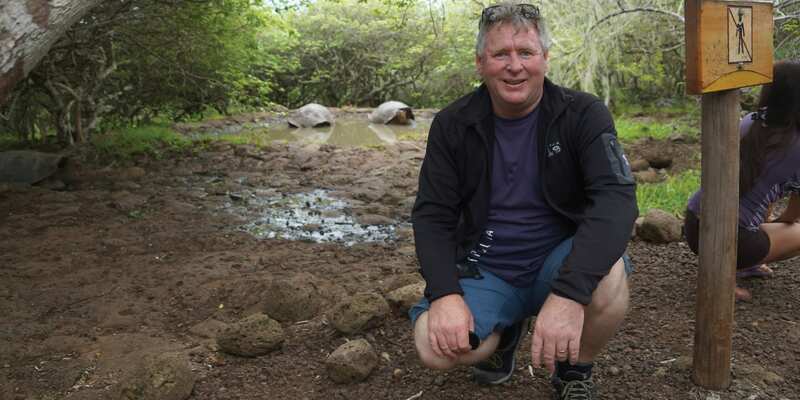 In 2007 Ben left us to work as a tour leader, guide and driver in Latin America. Now he is back in the team! Having travelled throughout the continent many times over, Ben speaks Spanish (and even some Guarani), has hiked countless mountains, and eaten everywhere with mucho gusto but not danced nearly enough tango. Ben’s Latin America’s Travel Experience: Mexico, Cuba, Puerto Rico, all of Central America except for Honduras, all of South America except the Guyanas, Antarctica and the Falkland Islands. My Latin America highlights: the 3 weeks I spent in Guatemala, our journey across Bolivia’s remarkable Salt Flats and sailing by yacht through the San Blas Islands in the Caribbean Ocean. My advice would be: not to try and fit too much into a small amount of time. Enjoy and experience the places that you visit properly so you can get a proper feel for what the destination is all about. The next destinations on my list are: Patagonia (checked!) followed closely by the Galapagos Islands (checked!). Valentina is our newest member of the team, she joined Contours Travel as our Office Administrator in 2017. Although she claims to prepare the best Pebre, we will have to try it out soon, we’ll let you know how it was! Vale’s Latin America’s Travel Experience: Chile, Argentina, Peru, Bolivia, Ecuador, Uruguay and Brazil. My Latin America highlights: I loved snorkeling in Ilha Grande, Brazil, with my family. It was so beautiful and the best scenery. But I completely fall in love with the Uyuni salt plains, they are impressive and the most beautiful landscape I’ve seen. My advice would be: Don’t be afraid of speaking to the locals, we are friendly and even if you don’t speak Spanish there will always be a way to communicate. I believe that’s the real way to experience the local culture. The next destinations on my list are: Mexico, Guatemala and Costa Rica. The only Contours Travel latina to hail from north of the Darien Gap, Ana keeps us on our toes with her Mexican slang. 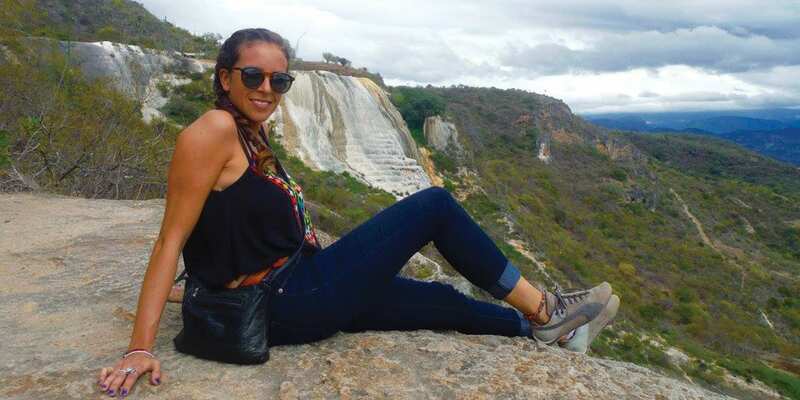 She has a background in anthropology and tourism, having worked as a guide around Mexico before moving to Australia and joining Contours Travel in 2017 as our Communications and Marketing Specialist. Ana’s Latin America’s Travel Experience: Mexico, Belize, Guatemala, Panama, Colombia, Cuba and Chile. My Latin America highlight: Patagonia was simply breathtaking! Oaxaca is my all-time favourite and Yucatan’s landscapes, cenotes and gastronomy. My advice would be: Take a day to lose the map and wander the less transited places, observe, and talk to everyone to truly engage with the locals. The next destination on my list are: The Coffee Triangle in Colombia, and Peru! 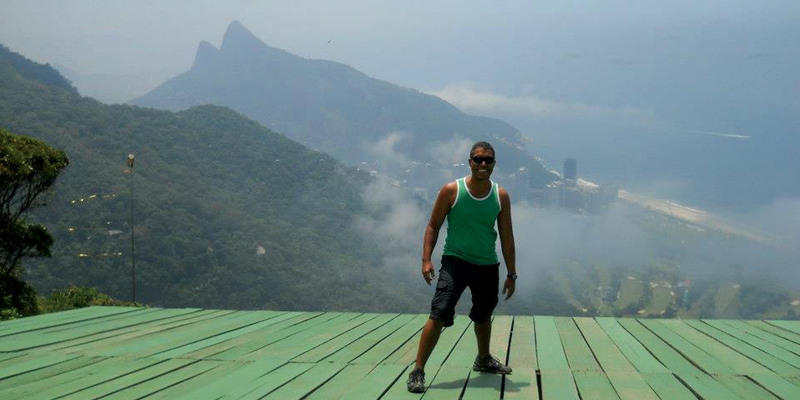 Victor grew up in Rio de Janeiro and started his career as a tour guide in his hometown’s Wonderful City. He has been wandering around South America ever since he saved up the money for his first airfare. He studied Tourism and International Development in London before joining Contours in 2018. Victor’s Latin America’s Travel Experience: Brazil, Bolivia, Peru, Argentina, Chile, Colombia and Grenada. My Latin America highlights: Walking through the flawlessly preserved streets of Cartagena’s walled town and be amazed by the charm of one of the continent’s most beautiful colonial cities. Getting lost in the labyrinth of narrow and colourful streets and find out why this magical place has enchanted and fascinated so many. My advice would be: Drink, eat and buy local! Locally made crafts and souvenirs, for example, are not always the cheapest but purchasing them ensures your contribution to the economy will have a more direct and positive impact. The next destinations on my list are: Southern Mexico and Cuba.